Summer is about to come to an end; so this is your last chance to head to the beach. Okay, maybe you can’t head to the beach; so I’m going to bring the beach to you as a final summer farewell. For the next few weeks my projects are going to focus on ocean themed animals. 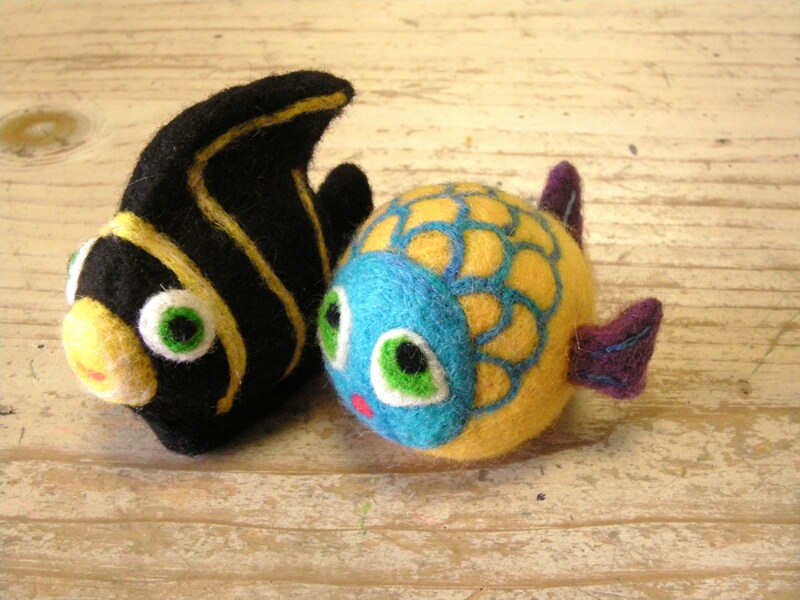 A few days ago, I introduced my “Rainbow Fish” and today I’m going to reveal my “French Angelfish”. Aren’t they just so chummy! I didn’t make a beach trip this year. Actually, the last time I was beachbound was several years ago. I was 8 months pregnant and now my little baby is two years old. I can almost smell the ocean looking at these pictures. 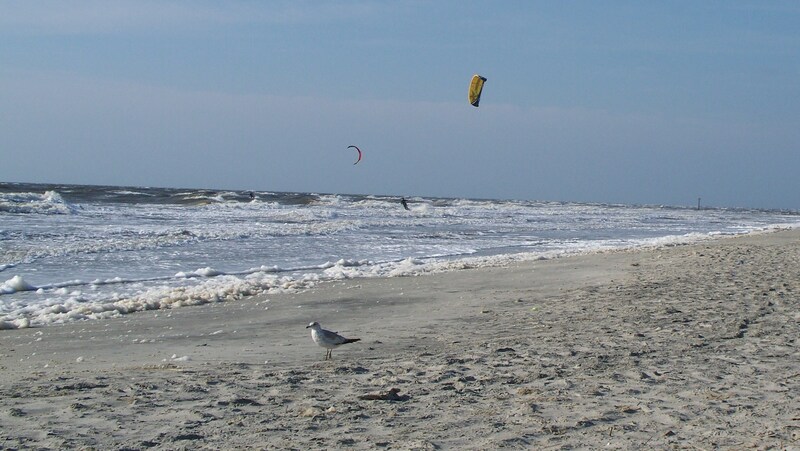 Do you feel the warm ocean breeze and the sand between your toes yet? 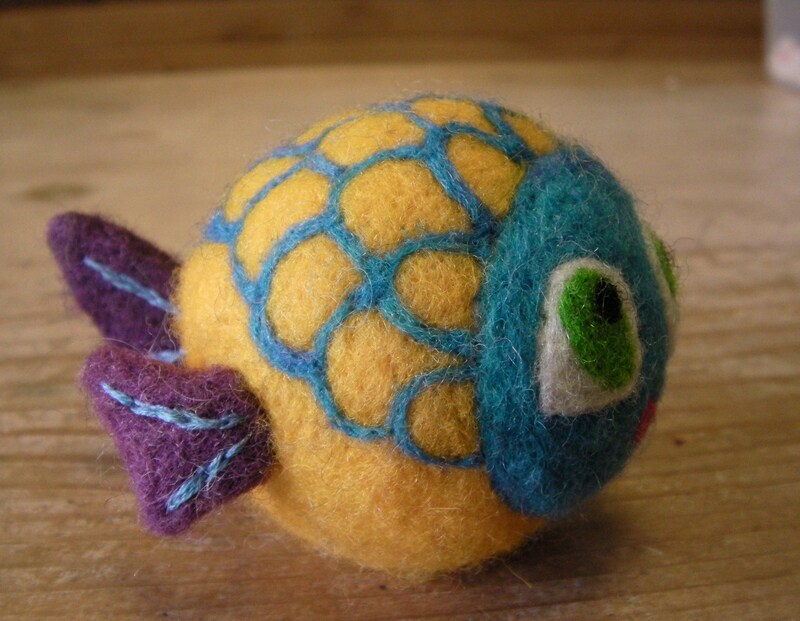 The first fish toy I created was inspired by a small felted ball and a book my oldest daughter had when she was a baby. She just loved it. “The Rainbow Fish Bath Book” is the name if you have a tiny cutie in need of reading material for the bathtub; the fish was multicolored and obviously a creation of the illustrator’s mind. My “Rainbow Fish” is also a creation of my mind and while multicolored, I chose a slightly different color theme to really make it pop. The blue on yellow really brings character to this fish. 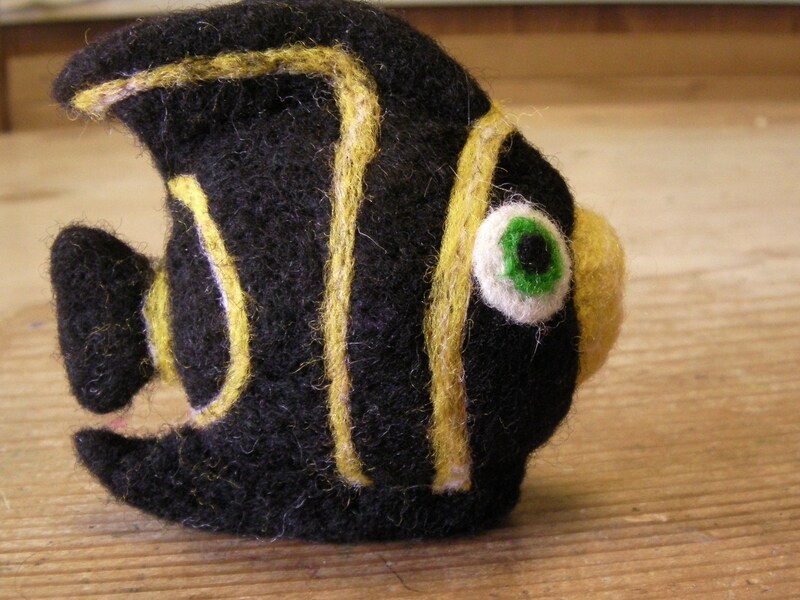 The second fish I created was inspired from an actual living creature: the french angelfish. The french angelfish is found in the western Atlantic Ocean near Florida, the Bahamas, Brazil, etc. The colors were selected based upon the actual colors of this fish. Only the juvenile french angelfish have the 5 yellow stripes. The scales of the adult fish have a golden edge to them. The juvenile french angelfish is the equivalent of the bumblebee of the sea. While I was creating him, I just kept thinking bumblebee. I added a little white wool to his yellow stripes to soften it up a bit. This fish is a challenge to stand up because he is just balanced on his fin; that just makes it more fun, right? I think he turned out pretty well. 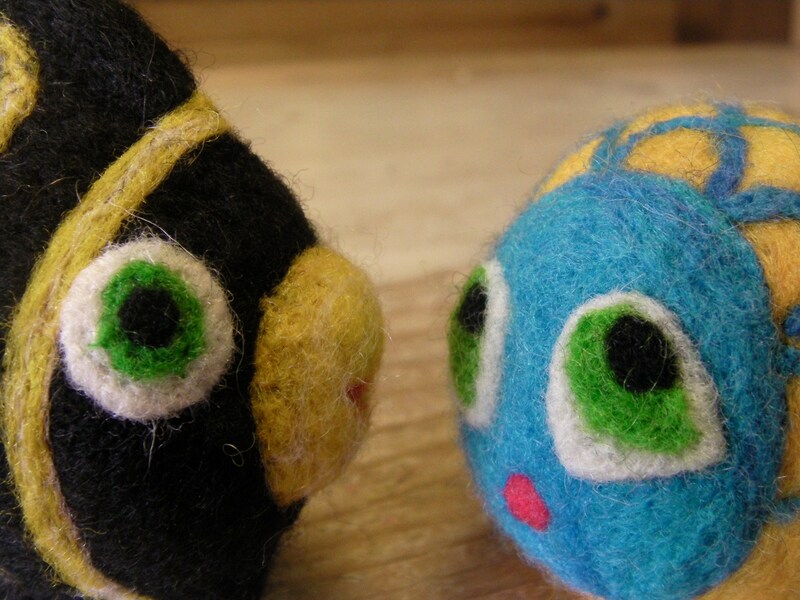 For my next beachy toy, maybe I’ll make an adorable octopus, a cute crab, or a playful porpoise. Now wipe the sand off your feet, and join me in a few days with your suit and towel for some more beach fun.